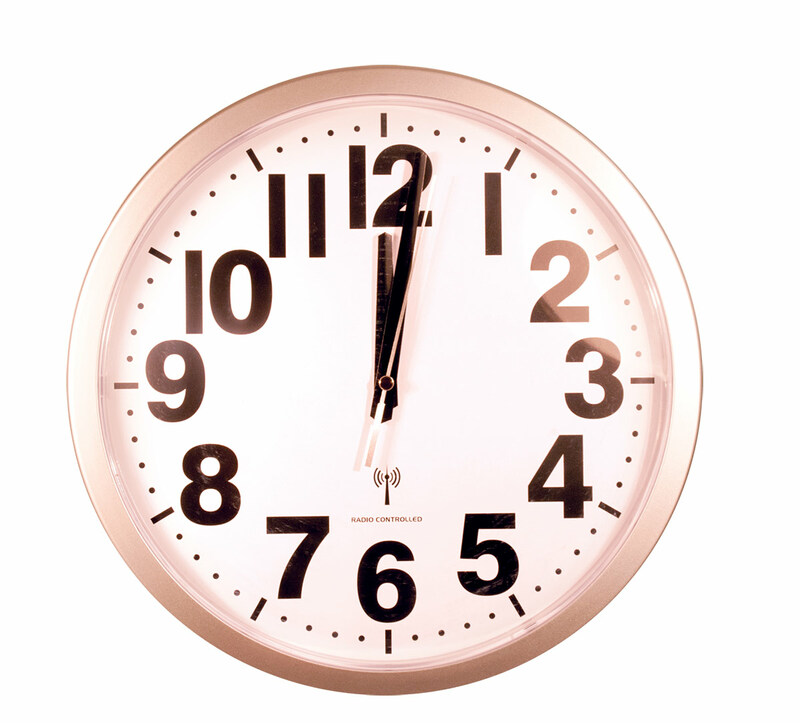 "12 inch clock with radio controlled time"
The atomic analog wall clock with highly visible 1 1/2 in. time numbers are easily seen across the room. Radio controlled so time sets automatically and is always correct even with DST (Daylight Saving Time). Clock movement has a very specialized AM radio receiver that is tuned to receive 60KHz WWVB time signal broadcast from the U.S. Government's atomic clock in Boulder, Colorado and Fort Collins. Signal is an AM radio signal-- adjusts itself to the U.S. atomic clock's time signal depending on its location. 11 1/2 in. diameter across. Silver trim. White face with black numbers. Uses 1 ''AA'' battery (not included). 1 inch deep.